10. You were having a killer flexing session in front of the mirror and figured you’d get a great pump while at it for fun. 9. Your brother came to visit, and he has a 6 year old and twin 3 year olds. 8. You just can’t start the day without a good case of the beta alanine “tinglies”. 6. You needed a study aid for that big molecular genetics exam and you just know the germanium makes your IQ go up 30 points. 5. You were bored and figured you could use some extra creatine anyway. 4. Your in-laws were in town, and you can swear time goes into warp speed when you’re on Jack3d. 3. 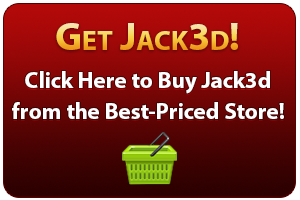 Your best workout ever was while you were on Jack3d, so you figured you’d have your best ever prostate exam on it too. 1. You were tired in the morning because you were up all night long…. performing like a champ. Click below to share us on Facebook and add your own funny reason!